A strong, consistent brand identity is essential for a successful business. A well executed brand helps foster credibility and familiarity among consumers. Most business owners invest a lot of time and money into developing the perfect brand image for their company and a brand guide can help protect that investment. What exactly are brand guidelines? 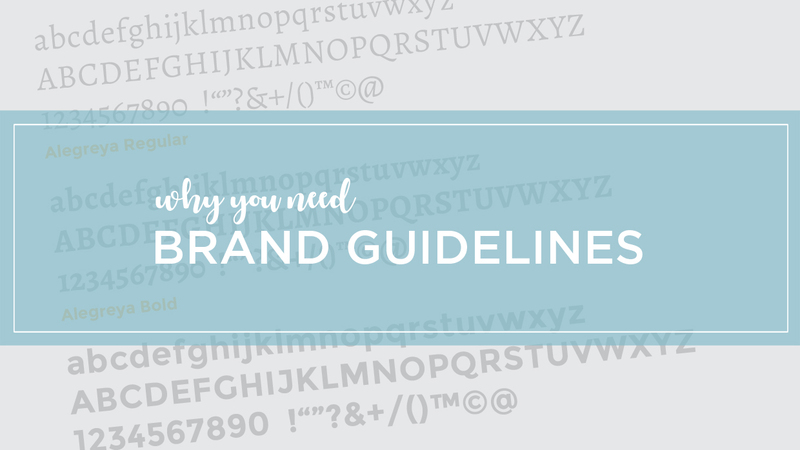 A brand (or style) guide is a document that lists the guidelines for how your brand elements, such as logo, color palette and font styles, should be used in your marketing materials and business communications. A brand guide will enhance your marketing and sales efforts with a consistent brand appearance. What does a brand guide look like? Why do I need guidelines? A brand guide puts rules in place to help maintain the integrity of your brand and ensure your brand elements look professional anytime they are used. Most people don’t purposely set out to dilute the strength of a good brand identity. They just aren’t aware of the hazards of using different fonts or introducing new colors that aren’t part of your brand. These changes can cause your materials to look different every time and create confusion with your customers and clients. Just hired a new employee or working with a new vendor? Give them your brand guide to ensure they’re matching your colors and fonts appropriately. In the end, a cohesive and consistent brand image is key and having a brand guide will keep your guidelines accessible and easy to share. Need help creating a brand guide? Give us a call at 910.681.0548 or send us an email to learn more.